Nubra Valley, located 150 km north of Leh, acts as the gateway to the Siachen Glacier and Karakoram Pass. New Delhi: Tom Cruise-starrer Mission: Impossible – Fallout that was released in India last week had to face the censor board’s scrutiny with the latter objecting to references to Kashmir in the final cut of the film. 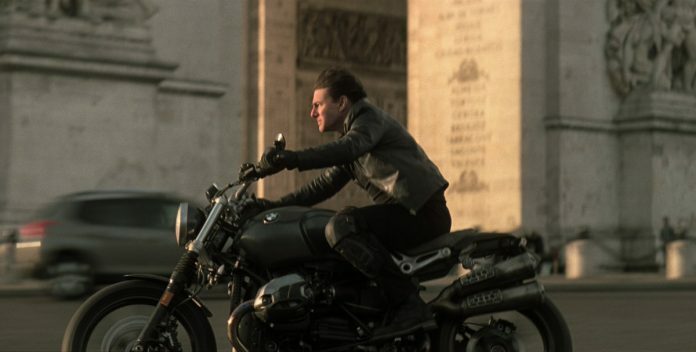 The climax of the movie was set in Kashmir, where Ethan Hunt (Tom Cruise) was seen trying to save the world from a nuclear catastrophe. In fact, the scenes having references to Kashmir were shot in New Zealand. Although certain portions of the film were erased following the objections of the Central Board of Film Certification, there are a few passing references to strategically important Nubra Valley and the Siachen Glacier. The northeastern region of Ladakh in Jammu and Kashmir has two major valleys — Nubra and Shyok. The Nubra Valley is located 150 km north of Leh, the largest city in Ladakh. It is situated 10,000 feet above the sea level. The Khardungla pass (5,359m) acts as a gateway to both the valleys. Nubra and Shyok rivers flow through this region, inhabited mainly by Buddhists and Baltis. Both the communities follow different religious practices. While the Baltis are Muslims, the Buddhists follow a sect of Tibetan Buddhism. Diskit, located at the centre of this region, is an overgrown village that has turned into a small commercial hub. The Nubra Valley acts as the gateway to the strategically important Siachen Glacier and Karakoram Pass. The Karakoram Pass in the northwest side connects the valley with Xinjiang, China. The area was once part of ancient Himalayan trade path, the Silk Route that connected China to Middle East. However, with time the trade route lost its significance after Chinese sealed their borders with India. The 75-km-long Siachen Glacier, considered the world’s highest battlefield, lies at the end of Line of Control — that is NJ 9842. Despite Pakistan’s claim, Siachen Glacier has been under the control of Indian Army since 1984 following the success of ‘Operation Meghdoot’.